Last month, we took a look at Rheumatoid Arthritis in the vocal cords or larynx, called Cricoarytenoid Arthritis (CA). I hope you’ll read both blog posts on CA, Part 1 and Part 2, in which you’ll find some of the common symptoms to look for and some surprising statistics about CA in RA. 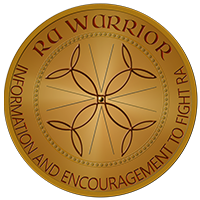 Doing research on Rheumatoid Arthritis, I have encountered several remarkable RA stories – all with actual lives attached! One of those lives is a fun loving lady named Stephanie. Today’s blog is a treat: in this profile in courage, you’ll meet a fellow RA’er who lost her voice permanently in 2004 due to Cricoarytenoid Arthritis. How did I find out Stephanie has CA? I knew that she had Rheumatoid Arthritis and we had chit-chatted a little on Twitter. I had seen her cooking blog. One night, I noticed her bio said “voiceless chickie.” I knew that was either some weird joke – or her RA! Stephanie has had RA most all of her life. 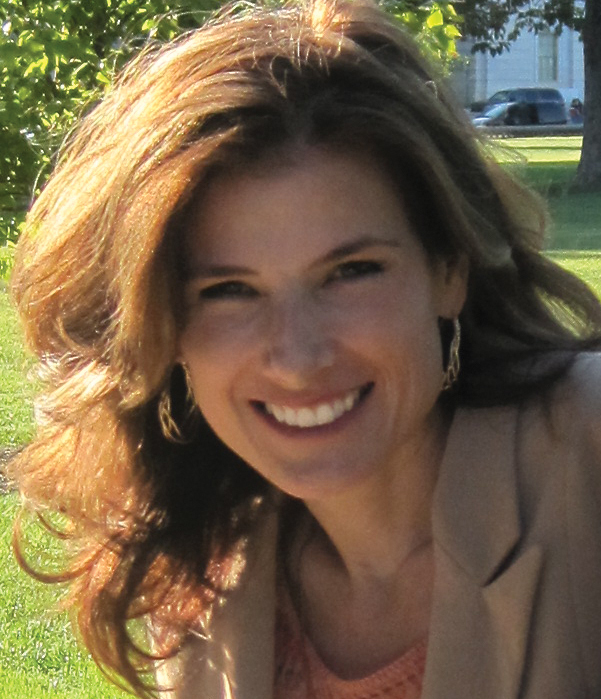 Her Juvenile Rheumatoid Arthritis began at age two. She endured years with no RA treatment due to the confusion of doctors about JRA and the state of science / RA treatments at the time. She even waited for an entire year to see a rheumatologist on two occasions. The doctors were unable to recognize all of Steph’s RA symptoms as Rheumatoid Arthritis. Some of her main complaints were problems with her tendons, eyes, skin, lungs, and you guessed it: her larynx. Of course, she has had lots of joint pain and weakness, too. Steph’s vocal cords left her unable to speak for 5 whole years. Her many years with untreated or undertreated Rheumatoid Arthritis left her vocal cords and lungs permanently damaged. First: There is no perfectly typical pattern to Rheumatoid Arthritis onset. Second: However, it is critical that we promote better education of doctors, patients, and the public about what Rheumatoid Arthritis can do to a person so that early diagnosis and treatment is possible. This brave woman has many other things to teach us. I hope you will read her whole story on our Onset Story pages. The ending is not only fascinating, but critically relevant for many of the goals of RA Warrior. Note: In this video on her own blog you can actually hear Stephanie’s voice which has recovered slightly now that she has begun to take the DMARD methotrexate to treat her RA during the last few months. What Is Joint Protection for Rheumatoid Arthritis? ← My RA Methotrexate / Enbrel Test: How Well Do Methotrexate & Enbrel Work on Symptoms of Rheumatoid Arthritis? *blushing* The write up is great! Thanks for including me! Yes taking a DMARD may improve the speaking voice HOWEVER having taken DMARDs for a few years now I can tell you the performing as a singer is near impossible on Methotrexate and Plaquenil. This is breaking my heart. I have flare-ups that affect my voice. I get hoarse and I find it difficult to swallow. Sometimes, when I am eating I have to drink because it feels like I am choking – this actually happens at least one a day. The hoarseness, throat and neck pain, the change in the range of my voice, pain when speaking and swallowing, shortness of breath and difficulty breathing – I never thought that they were separate issues so I did not bring them to my doctor’s attention. There is so much out there about RA that doctors have only begun to find out or that are so rare that doctors do not even look at. All be can do is be our own advocates and make our voices heard because if we do not, our conditions could complicate our lives and the lives of those we love. Thanks for posting this and allowing Stephanie to tell her story. From what I’ve found, the CA is not rare. 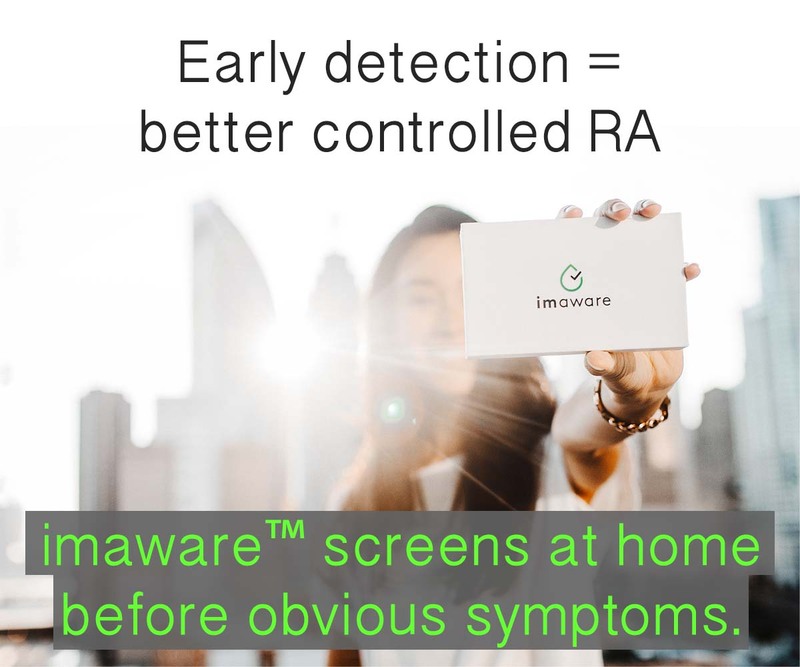 We RA’ers are very well trained to not complain so that’s why the stats on this are “all over the map.” But I have read several more current studies / articles saying that it is now known to not be rare; at least a third of RA’ers admit to having symptoms. And over 3/4 of autopsies show there is CA with RA’ers, often without symtoms having been reported. In Part 2, you can see what happened to me when I brought it up to a dr. – We RA’ers already are dealing w/ people thinking we’re complaining of an imaginary disease, so we tend to keep quiet about symptoms that sound as crazy as choking. Lana, I’ll do another post soon to discuss CA dangers and treatments. You are right: We MUST be willing to speak up to our docs about this and take it seriously. And yes, we have only begun to understand the science of this disease. Kelly, you are absolutely right. We are “trained” not to speak up. I still find myself doing it when I see my Rheumatologist every 3 months. Even after all this. I’m so grateful to be finally on the mend (sort of), I feel bad about “complaining” to him about the things that still aren’t being helped. Even at physio, I feel guilty if I ask her to treat an extra joint. And we shouldn’t feel that way. Maybe some day, we don’t have to. Lana, I too have choking and difficulty breathing. I choke least one or twice a day. I breathe so shallowly all the time that I have to sleep with a CPAP machine. I do not have sleep apnea. I just can’t breathe deeply enough. I also get terrible chest pain in the breast bone area. All these things, I never thought could be RA so I never mentioned that I “used to have it”. If I had, I could have been treated a lot sooner. I learned the hard way to make sure I mention the “weird stuff” as chances are it’s related. I don’t talk about the choking w/my docs either so far. I don’t want them to think I’m nuts in case they don’t know about it choking sensation of CA. But I will confess to the hoarseness (cant’ hide it usually) since I know that is less likely to get me labeled “nutcase.” Talk about “defensive medicine” – this is “defensive patient syndrome” ??? Interesting information and at least I can understand why my voice disappears for about 6 weeks at a time every year. I am a singer who is very frustrated when this happens, because it is the one thing that brings me total joy and makes me feel good and the energy it brings me when I sing literally lifts me up. I have been lucky in that my fiancee is a recording engineer and musician/songwriter and I have been able to record a couple of songs so my 81 year old mother can hear me before she succumbs to liver cancer. She also has diabetes and RA but is very stoic about all of it and I guess I get my fighting spirit from her. I will never give up striving for quality of life and neither should anyone. This is fantastic information! I had no idea…..
Nina, I’m not sure why most rheum docs don’t / won’t discuss this common issue with RA. If you need to send him a link, use the links that I use as references (in part 1 or 2 of this series, the links are the underlined blue text) since they are from medical sites and the doc would take them more seriously. Good luck to you. After I had Ca of thyroid and lymphs many years ago, my vocal area had always been “fragile” and I could come down with laryngitis easily. I am an actor, artist and singer, and I was worried that I could never sing again. (“To sing is to pray twice.”) The speaking voice was there but ever since the singing voice has been very fragile. For at least the past 10 years I have complained that my voice has become much more raspy- almost having a hiss at one pitch and another deep voice, deeper than my own by several notes, underneath. It came and went rather on its own, often during or after stressful times, and would leave me with no voice for a week or two. Then after having several scares with swollen ankles and elbows, I was finally diagnosed with RA. I don’t exhibit the RA blood factor. An endocrinologist I was sent to after complaining of extreme lack of energy and hair falling out asked me if my voice had “always sounded like this”. Lowered my synthroid but never said a word that RA could be the cause of the voice hoarseness. My RA doctor has never said a word about CA in RA. I only recently discovered this and am amazed that doctors do not mention this possibility!! But most importantly, I see my RA progressing: my balance is worse, I fall more. My ankles are swollen every day- they wake up achy and stiff and if I sit for any time at all they get stiff again. I can no longer arch my back; arthritis has moved into my lower lumbars. I can no longer play piano to make music, only noise- my husband now thinks we can downsize it! I am having to retire from teaching, which I love, because I cannot physically keep up with all that I have to do. And my voice has decided never again to sound like my voice used to; it remains mostly a raspy old woman sound if I speak above a whisper. Saddest of all is that I can no longer sing. I have had several sessions where I felt like someone was choking me (a lot like my Ca did when it wrapped around the vocal cords, only it never relented) Is there any RA treatment that is helpful? Besides not talking. And doing a trach. I am on Plaquenil. I believe my RA specialist is being conservative because I have many allergies to drugs. Dear Char, I don’t know why doctors are so confused about this. It wasn’t hard w/several hours of research to see how common this is – and how many patients tell me about their experience when I bring it up. The only things I can tell you about treatment are that treating the disease itself as aggressively as possible (with medicine) is likely also treating the CA, right? And that you should seek out a good ENT who knows about CA – there are some – to see whether you have nodules or immobilization or whatever and help you keep an eye on it. The trach is a an emergency last resort of course. Another more drastic treatment is a direct steroid injection. Also sometimes surgery can restore an immobilized vocal cord. I need to see if there are other treatments that I haven’t heard of yet & write up an new page on this, but I hope that helps you. I am astonished at what I am reading! I have fibromyalgia as well as RA but have blamed most things on the Fibro. I have asked my doctors about my voice going hoarse for years and they just give me that “look”. I lose my voice when I get overtired – I suddenly go from talking to whispering. That is when family tells me to stop and go lie down. I also have pain when eating, sternum pain a lot of the time, water getting caught in my throat, and especially not being able to sing without pain, weakness and loss of breath. I also breathe very shallowly (I’m working on proper breathing) and use a CPAP. Seeing all these symptoms of Cricoarytenoid RA makes me ecstatic! I don’t want it but I am relieved that there may be an explanation. Time to go back to my Rheumatologist! THANK YOU! Paula, Your story is so similar to mine. My voice problems came on very gradually, and mostly involved my voice getting “tired” more and more frequently and after a shorter and shorter time. I was one of the lead singers in our choir [Russian Orthodox – we sing the entire service] – had a wide-range alto going from 2nd Tenor up too low first soprano. My high C deserted me, and my lower range began to “flatten out.” Finally I was left with less than an octave. But singing made my neck tired for hours afterward. About that time, my husband had a heart attack (he was our choir director) and we both had to quit the choir. He never totally recovered from the heart problems (has had 3 more heart attacks since then) and my voice never recovered, either. I’m not exactly hoarse, just talk more in a monotone. I tried to make some tapes of nursery rhymes and fairy tales for some of the grandchildren, but my voice would get too tired to continue after only about 15 minutes, and wouldn’t recover for several days. I gave up the effort. So, I’ve down-sized my baby-grand piano (youngest son has it and his oldest son is taking piano) and my voice is permanently downsized. What next? This disease is eating up all my joys! When I finally mentioned the hoarseness and pain in my larynx, my rheumie doc said, “Oh, you have cricoarytenoid joint involvement.” He now palpates my larynx and has me go through “aaaaaaaaa-eeeeeeeee-iiiiiiii-oooooooo-uuuuuuuu” at each visit. He recognizes the FACT of this nasty part of RA, but doesn’t realize the extent of my losses – what my inability to sing to praise God means to me, what not being able to tell stories to the grandbabies. No one does, except, perhaps my husband. NONE of the docs, no matter how knowledgeable or compassionate, understand the way this disease devastates the patient and her (or HIS!) family! But, perhaps if they did understand the devastation of the lives involved, they might become so involved they would be ineffective at treating their patients. But we, the patients, still have to live with it. I have been dealing with this for years and didn’t know it. I have been misdiagnosed with several breathing disorders and currently have a trach in my neck. I have been diagnosed RA for 20 years, but didn’t know how my shortness of breath was related. I have also been (correctly)diagnosed with COPD. Most recently I was kept in a medical coma for over a week while they had me intubated and pumped me full of steroids. When they pulled the tube at the end of the week, there was no improvement. They put in the trach, and called in an ENT. He recognized it immediately. He is working with a vocal chord specialist on developing a plan to keep it from blocking my airway. 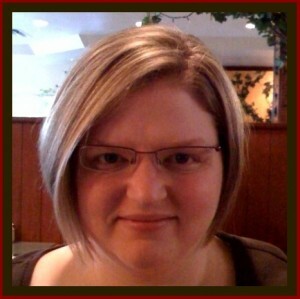 Stephanie I wanted to thank you for sharing your story. Our stories are very similar, I was diagnosed with juvenile rheumatoid arthritis at age 2 in 1974. I suffered throughout my childhood and adolescence but, like you, looked forward to becoming an adult when it would go into permanent remission as the doctors told me. When I became an adult the symptoms did subside and eased up until I reached my mid 30’s and then RA came back with a vengeance. It took many doctor’s visits until I was diagnosed with RA. I remember crying in the rheumatologists office also because I was so happy that someone confirmed that I was not crazy and there was a real reason I felt the way I did. I was shocked to find out I had RA because I was always told I wouldn’t have RA as an adult, but it looks like that research was incorrect. It was encouraging to read your story, stay strong and continue feeling better. I have RA with Secondary Shojrens. I had severe hoarseness and I felt out of breath constantly. I had a scope down my throat all looked ok. Went to see my regular asthma and allergy dr. and he put me on a daily drug called Singulair. This has helped tremendously with the hoarseness (it’s better although not gone) and my trouble breathing has dissipated. Just thought I would pass this along in-case you wanted to do any research on the use of the drug or talk to your Dr. about if this might benefit you. very interesting idea – do you think the medicine helped the inflamed vocal cords as well as you breathing passages? I’m not sure…..The Dr. said I had asthma after seeing my Pulmonary testing and then put me on the drug. I’m the one who has noticed the change in hoarseness. I do also have Sjogrens which can cause drying of the vocal cords. I realize there is sort of a layering of my symptoms but I just thought I would pass along the info. in-case it might be helpful to others. Has anyone out there suffered from Hallux Rigidus in the foot/big toe joint. I’m not clear if this can be caused by RA or if RA just impacts it. I would love to hear if anyone has experienced this. Eureka!!!!! I was hoarse last year for about 6 months and didn’t know why. But it corresponded exactly with the beginning of an RA flare. The worst of the flare lasted for a year and now I am coming out of it. As much as I’ve read about RA and autoimmunity, no one has ever connected these dots. Thank you so much. And this is also the first time that I’ve heard someone else connecting breastbone pain to RA. I had several episodes of unexplained costochondritis not caused by infection prior to the onset of RA. The breastbone pain came with extremely severe fatigue and shortness of breath. I now believe that the RA onset was actually several years earlier than the typical joint pain symptoms. Thanks again, and I hope and wish that someone else will be able to recognize the early symptoms before the disease process gets worse. you’re welcome Cheryl. Most of us are able to determine several symptoms we had a long time before diagnosis. There are hundreds of fascinating answers to the post “what was your first symptom?” I’ll try to put the link here in case you can’t find it. Hard to know from here Lori. Are you seeing an ENT who knows about RA? That would be a big help. There are ways that RA can affect the lungs also so you might need to make sure you see a dr who knows about how to diagnose that too to make sure nothing is missed. The tightness in the chest might be something different than the throat. Does your throat hurt? or is it just tight? Hi Kelly, I wanted to share my ‘home remedies’ I use when what I believe to be CA is acting up, in case they would be helpful to others. I’ve had hoarseness and a sore throat for years; I tend to lose track and not be great at remembering dates, but it’s at least six or seven years. I’ve seen the same ENT three times; the first time he recommended surgery for deviated septum (I declined); the second time he sent me for allergy tests (no allergies); and the third he saw some inflammation when he scoped down my throat, and referred me to a rheumatologist. This was before my RA diagnosis and although I had many symptoms, she did not yet diagnose it because the bloodwork was negative (other than rheumatoid factor, which I was told remained from my history of polymiositis (in remission). Finally, after being asked everywhere I go almost every day whether I have a cold, talking to my GP (who is great, but somewhat baffled by me, understandably) about my hoarse voice, cough, and dry sticky phlegm (gross, I know, but I thought it important to mention) and more recently, a couple of very scary episodes of choking and stridor, I’ve seen a different ENT–an older guy who seemed more willing and able to investigate… He had me try a reflux medication, an antibiotic for my nose, and pulmicort with my nasal rinse…. The hoarseness and cough remained but what seemed to be an infection in my nose cleared up. He’s now referring me to a Voice Clinic! I never knew such a thing existed, in all of these years of the same complaints. Apparently there is a specialist there who deals with these issues. I pray this person can help me figure out how to treat it. In the meantime, I have been researching and doing whatever/everything I can to keep from choking and heading to the ER again, including: inhaling saline solution with a nebulizer (I read about this on a cystic fibrosis site when a doctor filling in for my GP suggested I could have undiagnosed CF); cough syrup with guaifenesin to thin the mucous (which gets stuck and chokes me otherwise); humidifier; asthma puffer (salbutamol. I’m not sure whether or not I have mild asthma but respiratory tests suggest I might; either way, it seems to help as it feels like it opens up my throat or airways a bit), sinus rinse twice a day with saline (because the throat symptoms are less scary if i can at least breathe through my nose, which is also usually a challenge for inexplicable reasons); warm tea with lemon; and when it’s really bad, propping up pillows to sleep so that if it’s reflux or postnasal drip or a combination thereof, it goes down rather than up or stuck. I’m no doctor, so this is by no means medical advice, and it’s entirely possible that all of these things are calming me down by giving me a sense of some control over the situation, thereby allowing my throat to relax rather than panic and close up further, but thus far knock wood they seem to help… Sometimes I literally spend an hour going through all of the above before I am comfortable going to sleep or back to sleep (the throat problems wake me up at night). I’m using the nebulizer as I write this. Thank you for all of the information and support on your site. Just writing this, I’m feeling like it sounds insane and I would never share it all, especially all at the same time, with a ‘normal’ or healthy person because I’m sure he or she would think I’m nuts. Sometimes I think even my own husband feels that way. So it’s such a relief to read others’ stories and know that I’m not alone. Every time I’m up doing my ‘breathing remedies’ I read more of your blogs and articles. Half of them make me cry. I can’t fathom how you do it. I decided about three years ago as I was getting closer to a diagnosis (after either two years or two decades of symptoms, depending how you look at it) that I was going to blog about my experiences. I am a writer and editor by trade and have been off work for most of the last three years, yet that ‘blog’ has three entries. How you find the time and energy to do everything you do despite the pain and fatigue are a mystery to me. You are amazing! Happy fifth bday and have a great trip to Phoenix. One other comment that has nothing to do with CA, but I’m off on tangents in any event: I am Canadian and totally feel for those of you who have insurance issues or no insurance in the U.S. I can’t imagine adding the stress of having to pay for tests and treatments out of pocket, especially when it’s hard to keep working! I hope things change on that front soon. Just dealing with my extended health insurer (which is trying to dump me) is causing me enough grief, but our medical system covers many of the big-ticket items. It must be very difficult worrying about the medical bills in addition to everything else. Gentle hugs and prayers for all of you. Thanks for this post, Kelly. I’ve had RA for 35 years and had never heard of CA. After heart and lung surgeries, multiple joint replacements, a spinal fusion and too many other procedures to count, I thought everything that could go wrong already had… Then I developed shortness of breath that was diagnosed as a fixed arytenoid from CA. I found this site doing research after the diagnosis, but waited to post until I could report an outcome. Yesterday they removed my tracheostomy and I’m breathing quite well. Long story short, via microlaryngectomy, my surgeon created a breathing opening in my larynx using a laser. The quality of my voice is slightly affected, but getting better and stronger. My doctor feels it will be as good as before in a couple of months. I was fortunate to have an ENT who knew where to send me. what a wonderful outcome for you – it sounds like you have great doctors. Thanks for sharing and I’m glad you’re ok. Thank you for sharing is. I am re-reading the comments trying to find a glimmer of hope and you just gave it to me. Steroid injections have failed to open up a bigger airway through my inflamed vocal cords and I’m seeing a throat surgeon today. They are suspecting Wegener’s but seeing how many others with RA have the same symptoms I’m hoping its caused by my RA. Until I saw your post I had no idea the surgery could be done with a laser. That sounds more manageable/less scary than the other options I’ve read about. (I kow I shouldn’t freak myself out by reading too much before i know for sure, but since I’m seeing a surgeon I know surgery is what’s being considered… I’d love to hear an update on how you’re doing and what your recovery time and experience were like. It would be such a relief to go to sleep without worrying about waking up with breathing troubles in the middle of the night as often happens to me. But the thought of open throat or even endoscopic throat surgery really scares me. Especially if it might be dangerous to be intubated because of the CA joints. I developed severe, rapid onset, debilitating, typical asymetric joint pain this past march with morning stiffness. Easy to diagnose classic RA symptoms. I now realize that in the year leading up to March’s easy diagnosis my body threw up 3 intermittent red flags, that when considered cumulatively would have led to a diagnosis of RA a year earlier. For the entire year previous to my RA diagnosis I had recurring ankle ulcers that baffled doctors as to what they were. Intermittently probably twenty of them occured, sometimes the size of an acorn. I now know it was Bechets postulat skin lesions. At one point in the year I also contracted a short spell of cricoarytenoid losing my voice. I was also had a bad dry cough occur with lung breathing noise for about a month. Many chest xrays diagnosed nothing. I also had vague intermittent shoulder pain that would go away with a bit of stretching. All these symptoms occurred in the year prior to my easy RA diagnosis. I was very healthy prior to this year of symptoms so I knew something very strange was taking over my body. Once I started the MTX I have not had any more of these what you call complications to RA. For me i now realize they were predisposing symptoms of the RA diagnosis. Now on the MTX all these pre RA onset symptoms have disappeared and coincidentally even my bad incurable toe fungus has even cleared up! It looks like the RA is here to stay though. I’m so glad to hear you found someone to give you good care for this Lisa. Take care of your throat. And thanks for sharing – it’s a big help to others who are reading. Thank you, Kelly! I’m so happy to have something positive to report and not just my usual complaints and questions!I should clarify one part of what I wrote in the above post. He suggested raising the head of the bed by putting blocks under the corners. It does not do to raise just our heads on pillows as your entire esophagus should be going ‘downhill’. I will try this as soon as I can get my hubby to put something together. (Or get one of those dreamy adjustable beds! If anyone has one I’d love to hear whether it’s comfy and helpful). Lisa, your story sounds exactly like mine. I am in western Canada too. I may have seen the same specialist. Would love to connect with you some way. Thank you for your stories and your comments here. I have been diagnosed with RA since I was in my 30s, I’m now in my mid 40s. I have not been able to speak without hoarseness or Laryngitis since January and this is now March. I recently had blood work trying to figure out what is wrong with my voice and am still awaiting the results. I found your Blog here after my ENT suggested it may be my RA attacking my Larynx. You all have been most helpful. I will share what I have learned here and hopefully, help others as you have helped me to understand this a little better. Thanks all and God Bless you. I’ve had trouble with my voice for over three years now. Some days I am very hoarse and others not as much, but my voice has never been the same. At first, I went to my ENT and he checked with a scope and said there’s nothing to fix…. So, I live with it. Sometimes it feels like I have to push the words out and singing is mostly out of the question. It’s a real adjustment in life!! !